In the historical fiction novel Code Talker by Joseph Brushac 16 year old Ned Begay join the military to help American win WWII against the Japanese. Earlier in the novel when the story begins, Kii Yazhi is Ned’s real name in his Navajo tribe where he grows up in his home before being sent away to boarding schools to learn the American ways so that he can be successful in the US. But when America is attacked and thrown into WWII Navajos are wanted in the Marines to go on a top secret task to help America win WWII. At the beginning of the novel Kii Yazhi was born and raised on a Navajo reservation in the early 1900s. But, when he is just 6 years old he is sent away to a Navajo boarding school whose goal is to erase all of the Navajo habits and replace them with English American culture. At first Kii Yazhi rejects the idea of leaving his language and culture behind, but he learns quickly to accept the American ways. In the boarding school Kii Yazhi is given a new name, Ned Begay, and begins a new life as an American rather than a Navajo. As the story unfolds, America is thrown into WWII and Navajos are wanted for a top secret mission. Ned and many other Navajos have all decided to join and fight in harmony with the Americans to defend their homeland. But instead of fighting with the Americans the Navajos are needed to save them. And the Navajo language that they were taught to forget would soon become American salvation. After boot camp and basic training, the Navajos are sent off to code school to learn a new code based off their language. Next the Navajos are thrown into combat fighting and sending messages from island to island getting closer to Japan. A couple things I enjoyed about the book was the fact that it was all a secret and the Navajos couldn’t tell anyone even their families. It made me feel like I was in on the secret. I also enjoyed how most of the facts or information about WWII and the code talkers was real so I was enjoying a great story and learning at the same time. A couple of things I didn’t like about the book was how repetitive the book was. On almost every island they went to the marines would arrive, be met by fierce Japanese soldiers, and endure a long fierce battle until the Japanese would be defeated. The story continued like this on almost every island they took over. It made the book boring, predictable, and not very interesting. I would hope that this author will not make these same mistakes in the future. Overall I enjoyed the novel and would recommend this book to any reader who enjoys historical fiction and WWII because if you are interested or have prior knowledge about WWII it would make the book more enjoyable. I would rate this book a 3.5 out of 5 stars. This book is a fun, action packed book with rich history and story and I would classify it as a must read for all avid readers. Overall in the novel Joseph Brushac maintained historical accuracy throughout his novel. the author described the setting and time period in the story well and accurately with the events in the novel. All of the Navajo words are accurate as well as the events, places, and outcomes of the story. I also believe that the author balanced the book out well with historical details and the actually plot of the story. The author is not believed to have added anything in the story that is historically inaccurate and has maintained a completely historical accurate novel. "Little boy" he said. "Sisters first son, listen to me, you are not going to school for yourself, your doing this for your family, to learn the ways of the billaganna, the white people, is a good thing, our navajo language is sacred and beautiful, yet all the laws of the United States, those laws that we have to live by, they are in English". The Navajo word Billagannas is used to describe white people. In the novel the Navajos use this word often to describe the other soldiers and other Americans. After investigating through my research Billagannas is one of the first Navajo words and it was first used when Navajos encounters early settlers to describe their odd skin color. It was passed on from generations to generations and then was used in the time period of this novel in the story. So to sum it up basically the author used ancient navajo words in the story to expand on its historical accuracy. "Code Talking - Native Words Native Warriors." Code Talking - Native Words Native Warriors. N.p., n.d. Web. 10 May 2016. Greenspan, Jesse. 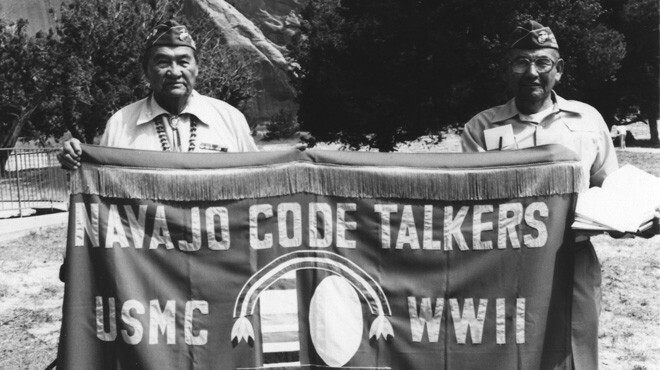 "World War I's Native American Code Talkers." History.com. A&E Television Networks, 29 May 2014. Web. 10 May 2016. "Navajo Code Talkers - Interviews, Videos & More." Navajo Code Talkers. N.p., n.d. Web. 10 May 2016. 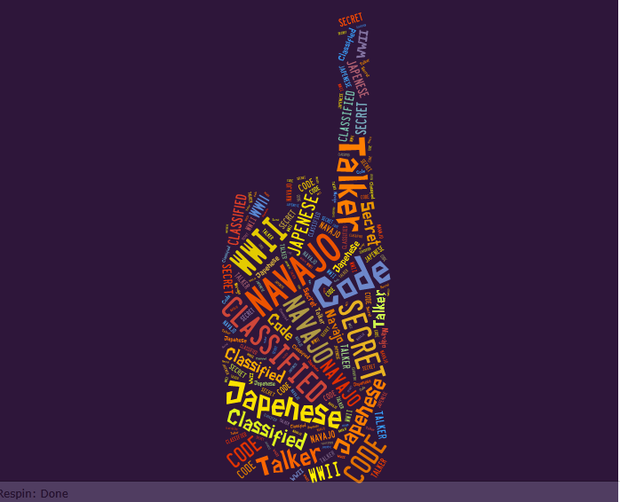 "Navajo Code Talkers Facts | Navajo Code Talkers." 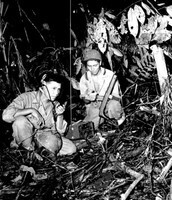 Navajo Code Talkers. N.p., n.d. Web. 10 May 2016. "Navajo Code Talkers of WWII: Fact vs Fiction." Navajo Code Talkers of WWII: Fact vs Fiction. N.p., n.d. Web. 10 May 2016. 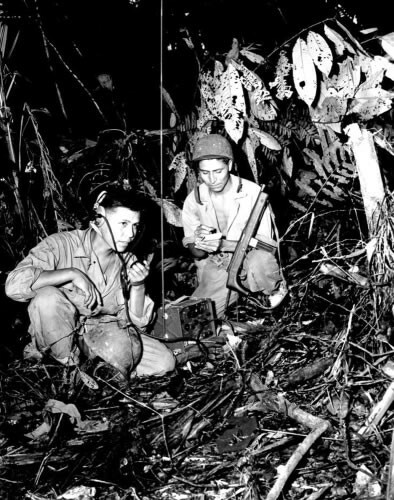 "World War II: Navajo Code Talkers | HistoryNet." HistoryNet. N.p., 12 June 2006. Web. 10 May 2016.